Welcome to our equestrian centre in Kastelruth / Castelrotto! In the middle of the wonderful, natural landscape of the Sciliar area are the Unterlanzin riding stables with stunning panoramic views of lush meadows, forests and the Schlern / Sciliar Mountain. Horse lovers from all over the world will especially enjoy the peace and quiet here, which suits our Haflinger and Quarter mix horses that radiate calmness. Here, everyone, whether old or young, can explore the wonderful mountain landscape of the Dolomites on horseback. With its varied program, the Unterlanzin equestrian centre has something for everyone. You can take riding lessons in groups or enjoy a one-to-one lesson in our fenced riding arena. Accompanied by a trained and experienced riding instructor and a cross-country riding leader, we offer the opportunity to go on rides of different durations around Kastelruth / Castelrotto and Seiser Alm / Alpe di Siusi. The mountain pasture Alpe di Siusi is primarily known as a skiing and hiking area, but the high plateau reveals itself to be a true horse rider’s paradise. We offer riding for beginners as well as advanced riders. Whether walking, trotting or cantering, on our guided horseback rides you will get to know the Dolomites from a completely different perspective. An absolute must for every horse lover! 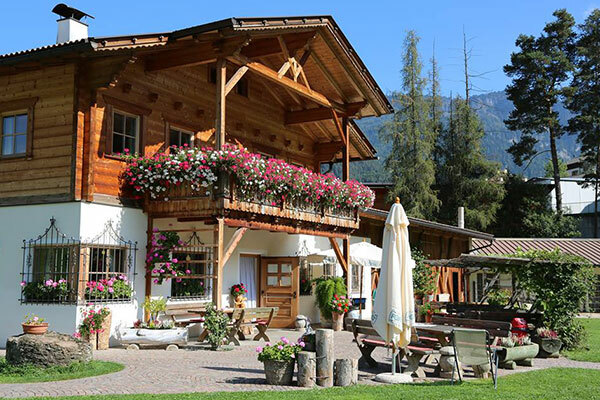 For us, the riding stables in this sunny location in Castelrotto are a true paradise and we are pleased to be able to share our love for horses and our home in South Tyrol with you. In our cosy bar, from Easter to the end of October (except on our days off), you can stop off for a refreshing drink at the base of the mighty Sciliar, the landmark of South Tyrol, after your ride on the forest tracks. You can also watch your children during riding lessons here. Sufficient parking spaces are provided. The riding stables and our bar are open from Easter to the end of October. In peak season, we are there for you every day from 09:00 to 20:00, in off-peak season, we have our day off on Tuesdays. Reinhold is a trained horse riding instructor and a ski instructor in the winter. 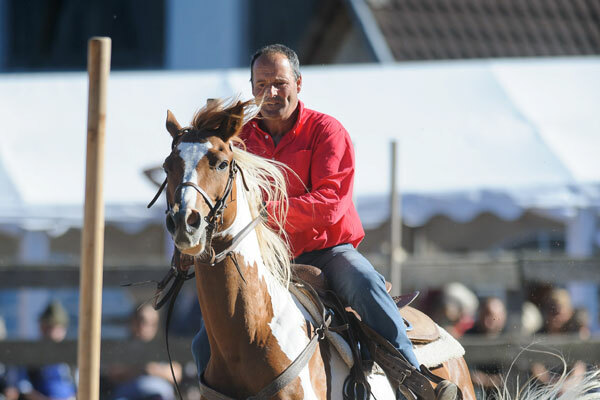 He knows the Sciliar area and Europe’s highest alp, Alpe di Siusi, like the back of his hand and enjoys showing his home in the Dolomites to visitors to the Unterlanzin equestrian centre. On horseback, you can explore the area of the Sciliar-Catinaccio Nature Park with its rich flora and fauna.